Medium, thin-nose angle cutter has 48° inclined blades (head) for reaching into dense, difficult-to-access areas. 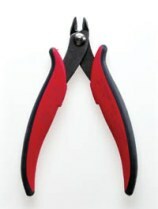 The small head and anatomic design makes this an ideal cutter for working in tight spaces.  Inclined 48° blades (head).